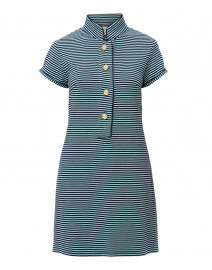 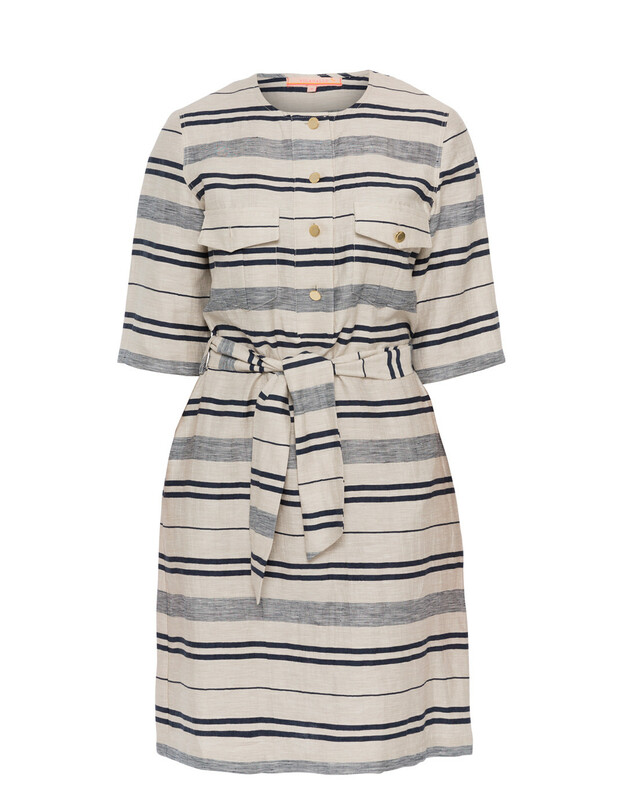 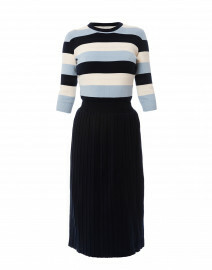 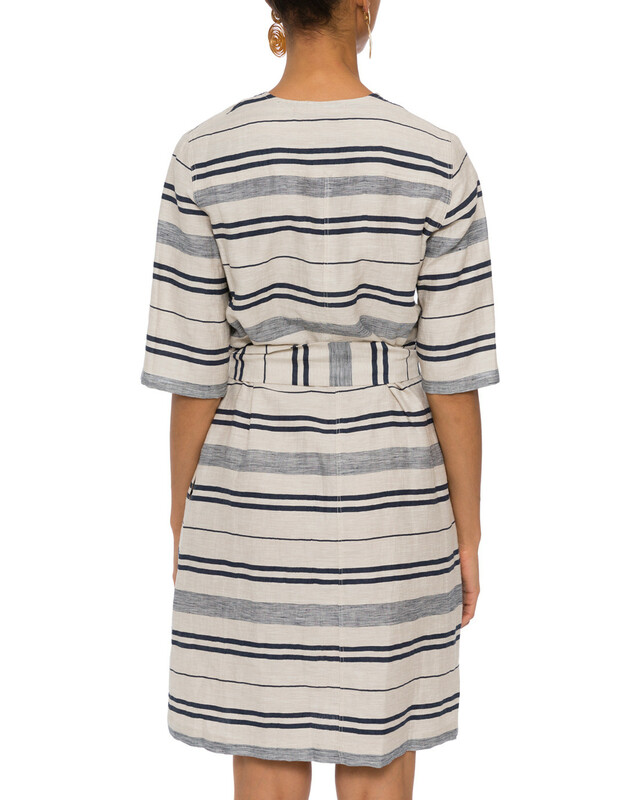 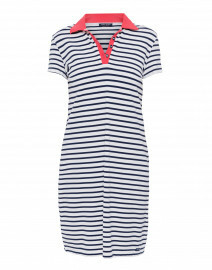 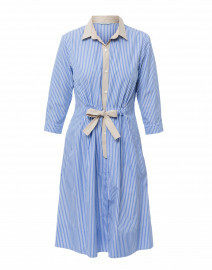 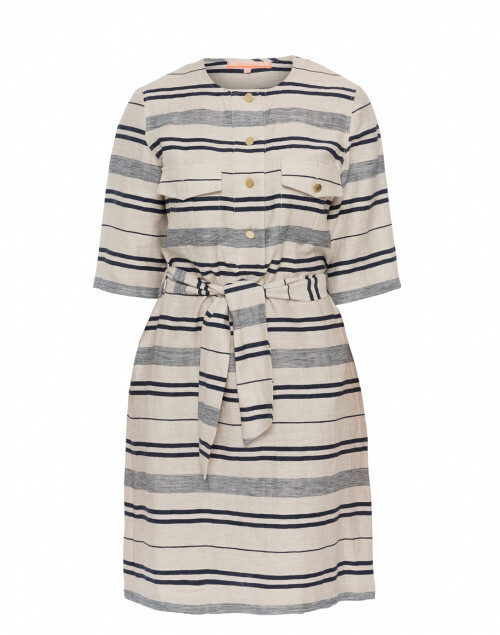 This ecru and navy striped Sabine dress is a charming take on Vilagallo's carefree feminine aesthetic. 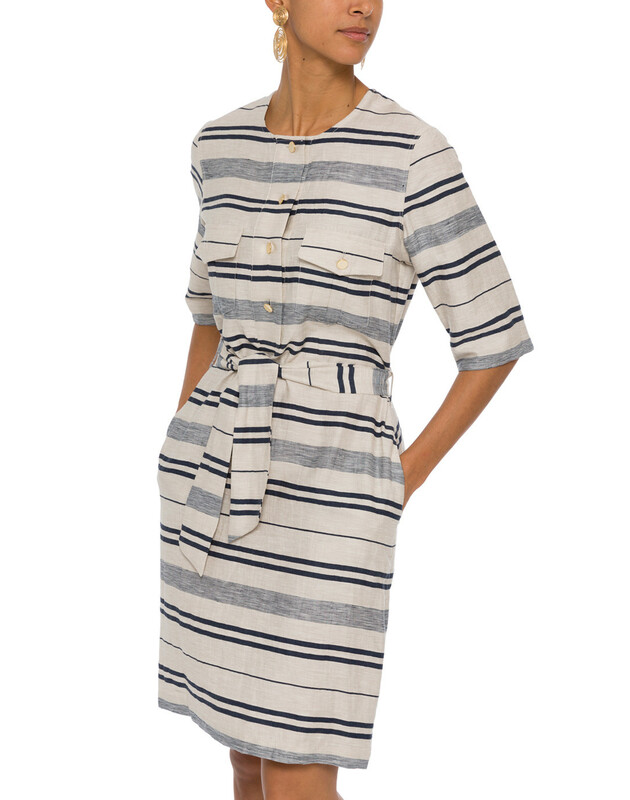 It’s cut from lightweight linen blend and shaped with a henley neckline, chest pockets and a belted waist. 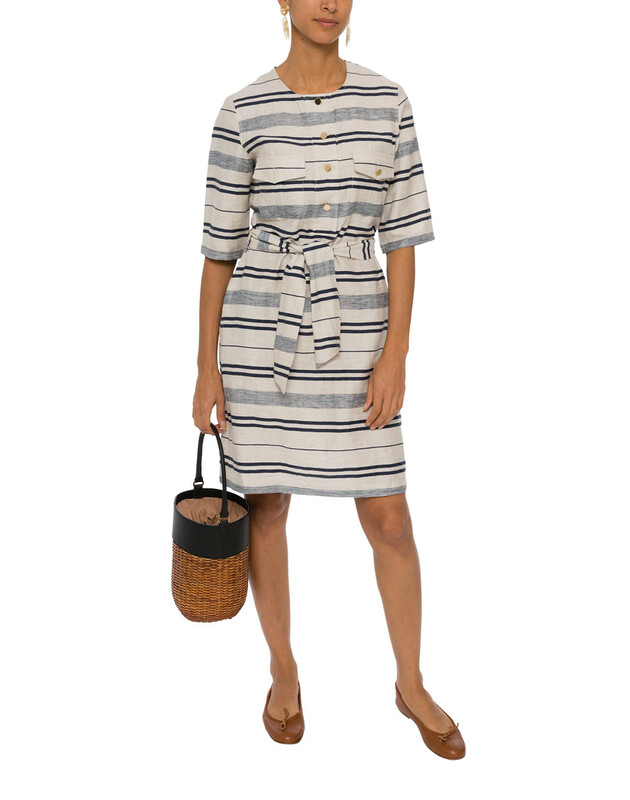 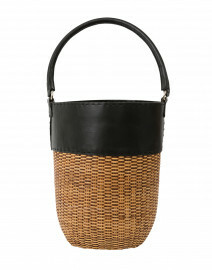 Anchor the feminine tone with brown leather flats and a woven tote. 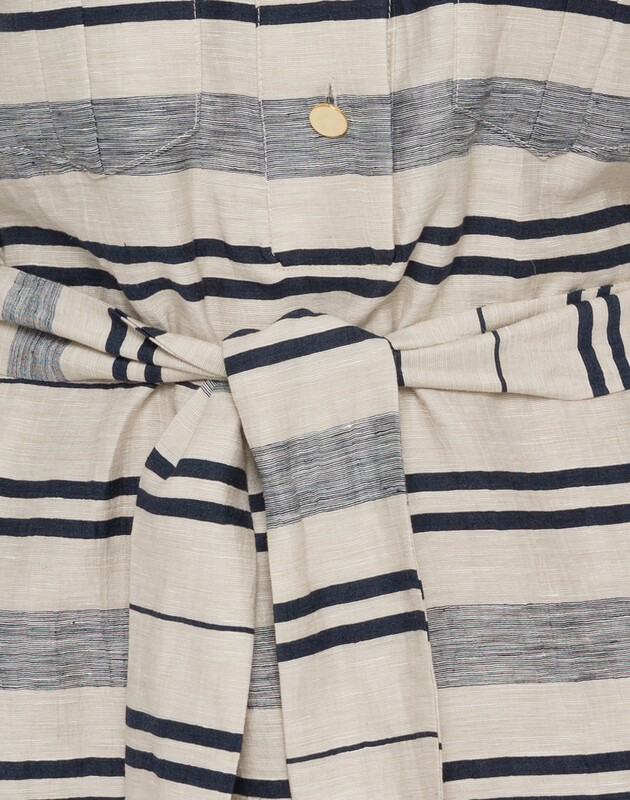 Length 37.5" 37.5" 38" 38.5" 39" 39.5" 40"
Shoulder Width 14" 14.5" 15" 15.5" 16" 16" 16.5"
Bust 38" 39" 40" 41" 43" 44" 45"
Waist 31" 31" 32" 33" 34" 35" 36"
Hip 38" 39" 40" 41" 43" 44" 45"
Sleeve Length 13.5" 13.5" 13.5" 13.5" 13.5" 14" 15"